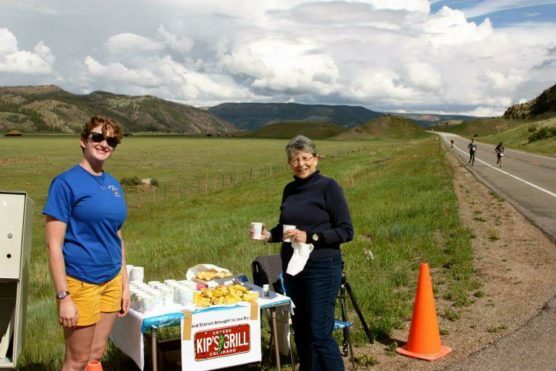 Started 10 years ago as a way to highlight local and global water issues — and coincide with World Water Day — June’s Runoff Runoff Half Marathon follows Colorado’s Willow Creek Floodplain Trail along the second half of the full marathon route, all the way into the finish in this small southwestern Colorado town. Today, the Runoff Runoff program has increased greatly, featuring a marathon and half marathon distance. Race day includes fun for the whole family, as post-race celebrations include live music, local beer, tasty food and great prizes. 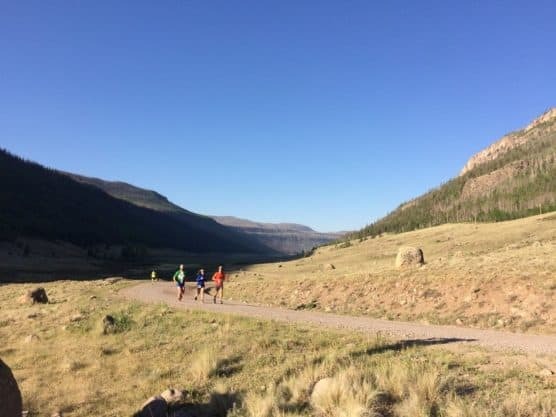 The half marathon race begins on FS Road 772 and follows a point to point course that finishes at Creede Ball Park. The course will take place entirely along the Rio Grande as it flows downstream. 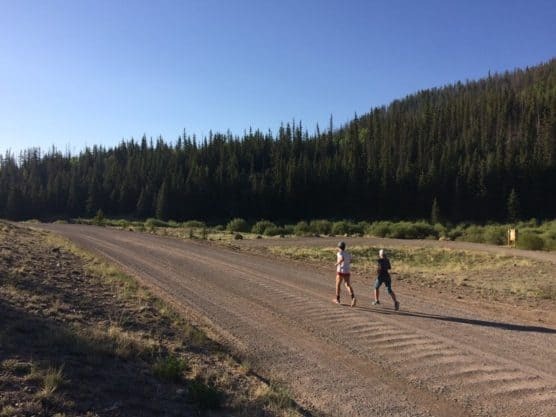 Because of the course taking place along the river valley, it is relatively flat, with 404 feet of total elevation gain. The half marathon will follow the second half of the marathon route. After leaving the starting line, the course runs for 7.2 miles on 149 until it takes runners onto Deep Creek Rd. From there, the course will head north on Airport Rd and continue to the Willow Creek Floodplain Trail for the last mile of the race. Runners are encouraged to sign up before June 1st in order to ensure they get their preferred t-shirt size. Race swag includes a canvas tote, tech race shirt, and goodies from local stores. 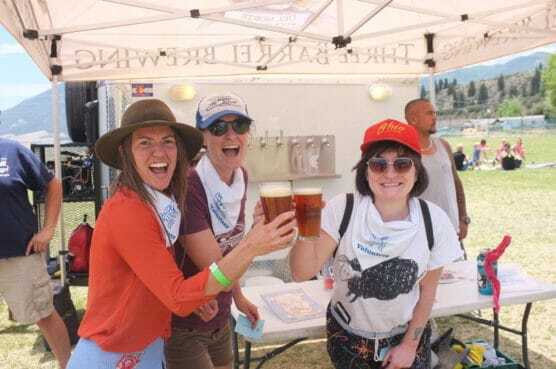 On top of that, finishers are awarded a commemorative finisher’s pint glass.Proceeds benefit the Rio Grande Headwaters Restoration Project and the Headwaters Alliance. Located near the headwaters of the Rio Grande, Creede, Colorado had a population of a mere 290 people in 2010. June sees mild to cool temperature ranging anywhere between 30ºF and 73ºF, with rainfall average just under one inch for the month. See the race route map for the Runoff Runoff Half Marathon here. 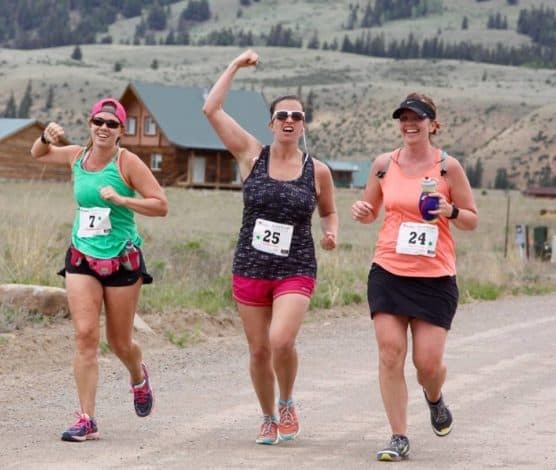 To reserve your spot in the 2019 running of the Runoff Runoff Marathon, Half Marathon & 6K race, register online at imATHLETE.com here. Ever run in the Runoff Runoff Marathon? Share your impressions here, as well as anything you learned about the race that you think other runners/walkers should know.